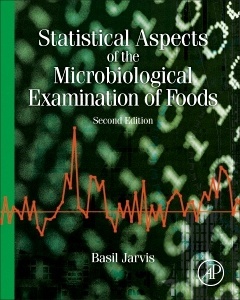 Statistical Aspects of the Microbiological Examination of Foods, Third Edition, updates some important statistical procedures following intensive collaborative work by many experts in microbiology and statistics, and corrects typographic and other errors present in the previous edition. Following a brief introduction to the subject, basic statistical concepts and procedures are described including both theoretical and actual frequency distributions that are associated with the occurrence of microorganisms in foods. This leads into a discussion of the methods for examination of foods and the sources of statistical and practical errors associated with the methods. Such errors are important in understanding the principles of measurement uncertainty as applied to microbiological data and the approaches to determination of uncertainty. The ways in which the concept of statistical process control developed many years ago to improve commercial manufacturing processes can be applied to microbiological examination in the laboratory. This is important in ensuring that laboratory results reflect, as precisely as possible, the microbiological status of manufactured products through the concept and practice of laboratory accreditation and proficiency testing. The use of properly validated standard methods of testing and the verification of ‘in house’ methods against internationally validated methods is of increasing importance in ensuring that laboratory results are meaningful in relation to development of and compliance with established microbiological criteria for foods. The final chapter of the book reviews the uses of such criteria in relation to the development of and compliance with food safety objectives. Throughout the book the theoretical concepts are illustrated in worked examples using real data obtained in the examination of foods and in research studies concerned with food safety. Prof. Basil Jarvis has held various academic and senior industrial research positions throughout his career as a food microbiologist. His work has taken him to many countries outside the UK including the USA, Scandinavia and South Africa. He has published widely on food quality and safety, including inhibition of microbes in food systems, microbial toxins in foods, rapid microbiological methods, and statistical aspects of food microbiology. For almost 40 years he has been a Visiting Professor at the University of Reading and for 20 years was an Honorary Professor of Life Sciences at the University of Surrey, where he established a WHO-sponsored graduate course in Food Microbiology for medical and veterinary practitioners. He has served on numerous official advisory groups, including the statistics group of the AOAC Presidential Taskforce on ‘Best Practices in Microbiological Methods’. He is also a member of the ISO working group on Microbiological Statistics. He is a Past President and Honorary Member of the Society for Applied Microbiology, a Fellow of the Royal Society of Biology and a Fellow of the Institute for Food Science and Technology. Although now retired, he retains his interests in teaching students and considers statistics to be a relaxing hobby, especially when accompanied by a glass of fine wine!